Actor Ashton Kutcher who is well known for comedy sitcoms, successful movies and is starring in the hit CBS sitcom Two and a Half Men, filed papers on Friday to divorce Demi Moore. Kutcher filed the divorce papers at a court in Los Angeles after 13 months of legal separation from Moore. Kutcher, who is 34, cited in the divorce papers that irreconcilable differences caused his marriage to fail. The papers said he did not want any spousal support and he was not denying any support to his wife. Moore and Kutcher split in November of last year after a six year marriage when a woman from San Diego said she and Kutcher had enjoyed a short affair. Laura Wasser, a divorce attorney who has represented many high profile celebrities had been hired to represent Kutcher said the documents that were recorded in court on Friday. 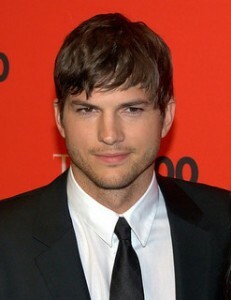 Representatives of Kutcher and his wife Moore would not comment on the divorce filing. Moore and Kutcher began dating shortly after the actress split for her former husband, actor Bruce Willis. At the time, Kutcher was staring in “That ‘70s Show” hit sitcom. Right away, the couple became fodder for the tabloids due to Moore being 16 years older than Kutcher is. The couple were married in Los Angeles in September of 2005. Upon the couple’s separation last year, the actress she said had a heavy heart and was deeply saddened that her marriage was ending.